Well, the sun is out and that means so are my legs which haven’t seen a UV ray in about six months. While I am very excited to soak in all that lovely Vitamin D, I still need to be very cautious about how much of it my winterized skin is getting. And even though we are still in a society that values a golden tan, getting it in a healthy way is very important. Of course, this wasn’t always the case. We have had a past with cultural traits that have valued a complexion which appeared to be as blemish and sun free as possible. In fact I distinctly remember reading Little House on the Prairie as a young child and laughing at the scolding Laura received for not wearing her sun bonnet. 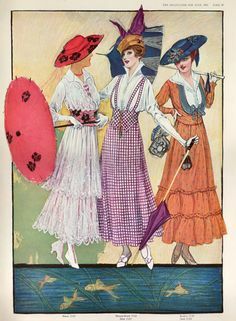 Of course, it was easier back in the 19th century to avoid too much sun simply by the length and layers of clothing that was worn. 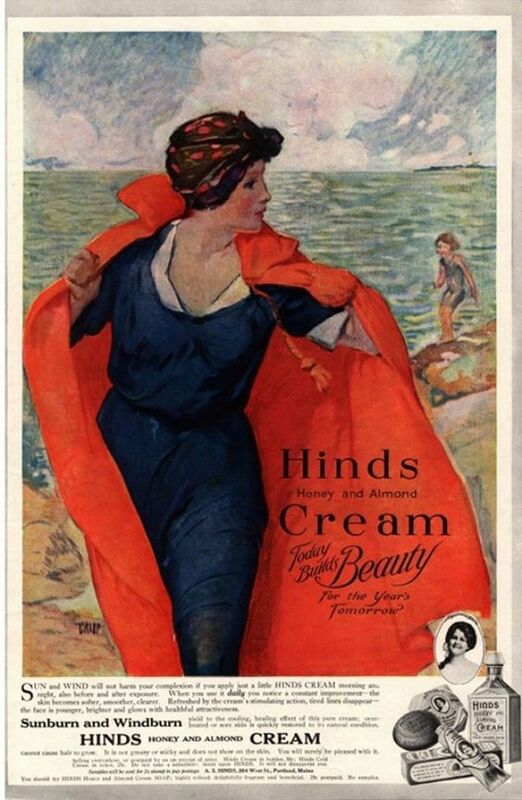 However, once skirts became shorter and sleeves disappeared, sunburns became more common. 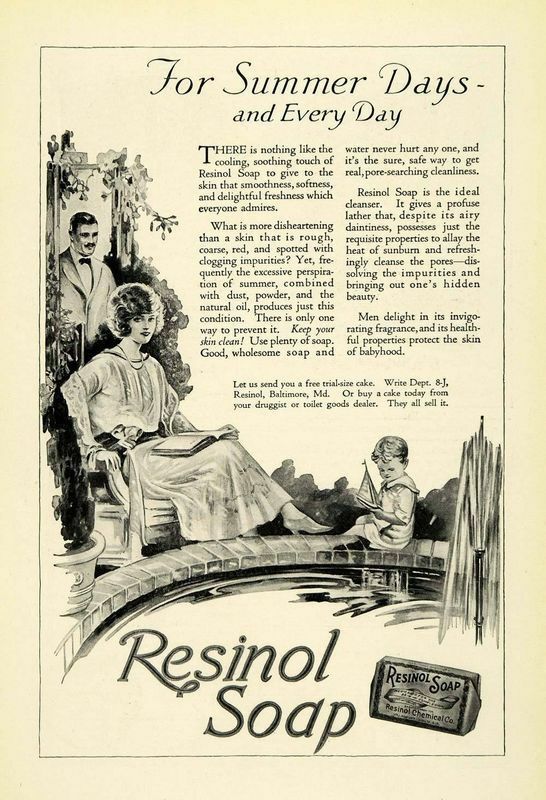 So how was sun protection shared and encouraged? Well, I decided to take a little look back and find out! 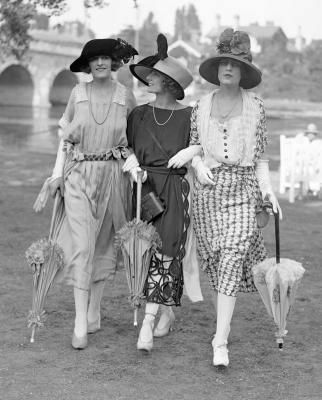 Hats and umbrellas, much more than today, were encourage and widely used as protection from the sun. 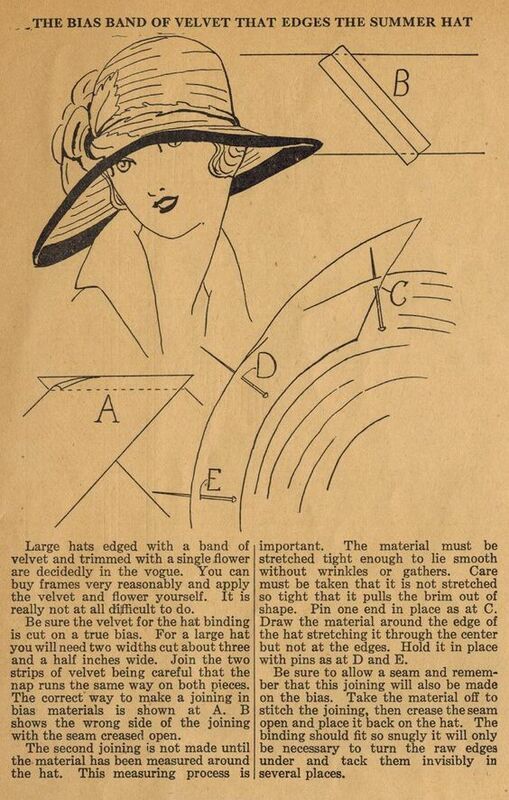 Although fashion in the latter half of the decade greatly reduced the size of the brim, the early 1920’s head coverings were wide brimmed and ready to protect! 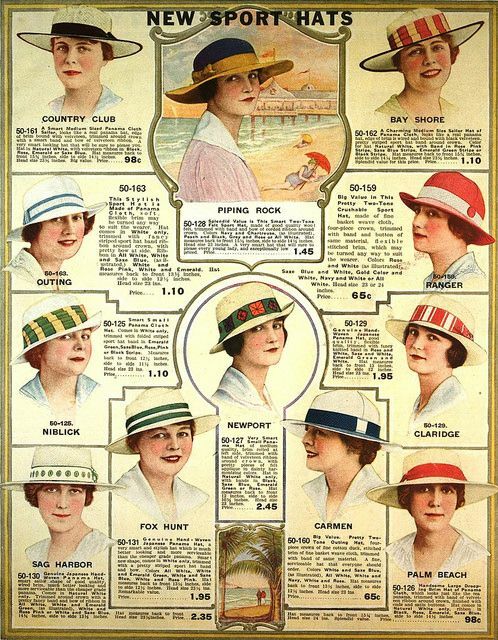 Too help make the thought of wearing a summer hat more attractive and affordable, tutorials were often included in magazines to revamp old hats. Here is one for adding a velvet band to the edge of a summer hat! While loving the sun is something that hasn’t seemed to dim with time, it is still something that (like many things) should be handle with moderation. 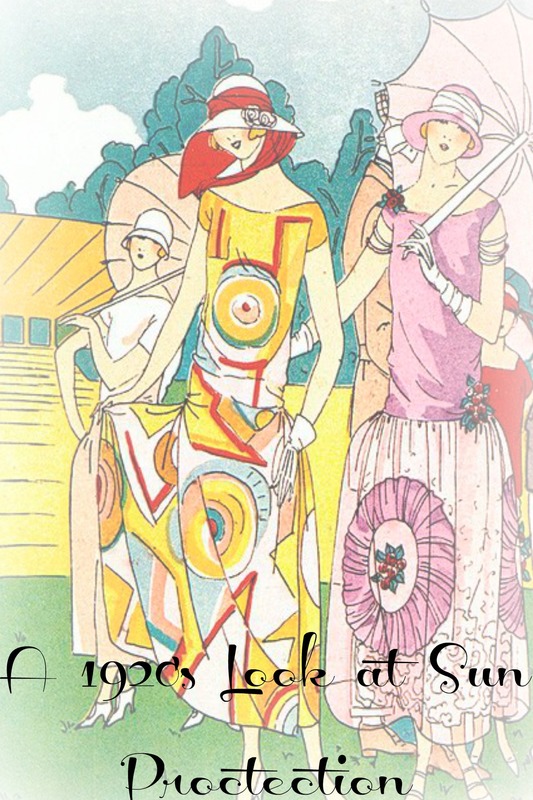 And women of the 1920’s, just like today, seemed to have understood just that!